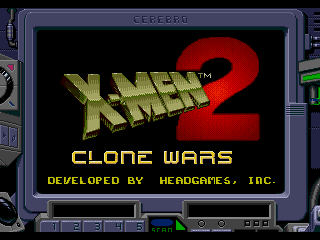 X-Men 2: Clone Wars is an action game for the Sega Genesis. 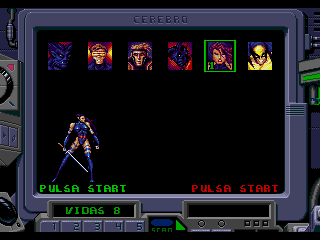 The game is based on an American comicbook, The X-Men. 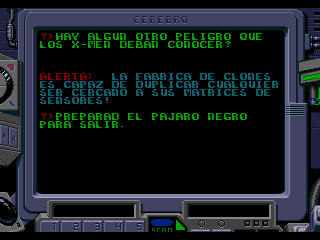 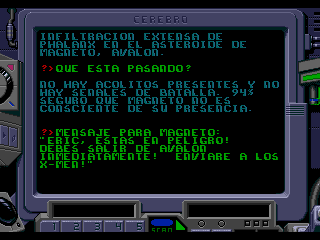 Complete translation to Spanish for X-Men 2: Clone Wars, on the Sega Genesis. 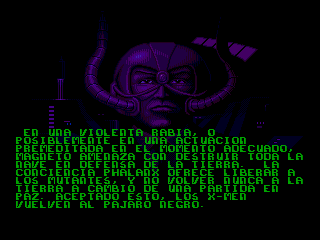 Translates all the game history and the selection screen.